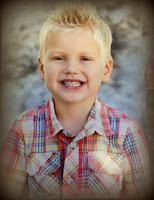 Today, Bodie graduated from preschool. All 40 pounds of sweet exuberance, he jumped up on that stage, shook the director's hand and accepted that diploma. With his best friends there to celebrate. These boys. They are 2 peas in a pod. If a pod contained one really super well-behaved pea and one not so good pea. Their relationship has been such a blessing for us this year. Bodie has really come out of his shell thanks to Nicholas, and always wants to know whether Nicholas is going to be at school before deciding whether to be excited about going or not. Sweet Ani. 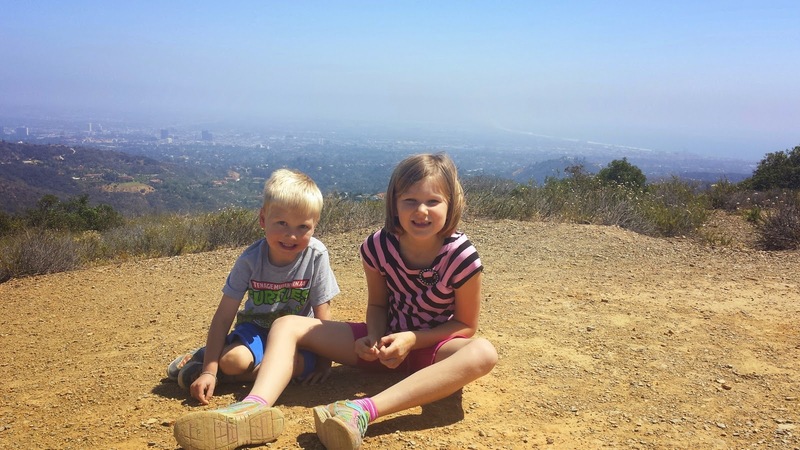 She was Bodie's first friend at preschool, and, really, his only real friend last year. She is so sweet to him, and totally puts up with his silly antics. They are crazy together, and I'm so grateful she'll be going to kindergarten with him next year, to look out for him and keep him in line. One my absolute besties and such an incredible source of support not just to me, but to our entire family. We love her so.stinking.much. We LOVE Gigi!!! She has been there through everything. And his amazing, incredible cardiologist on hand. 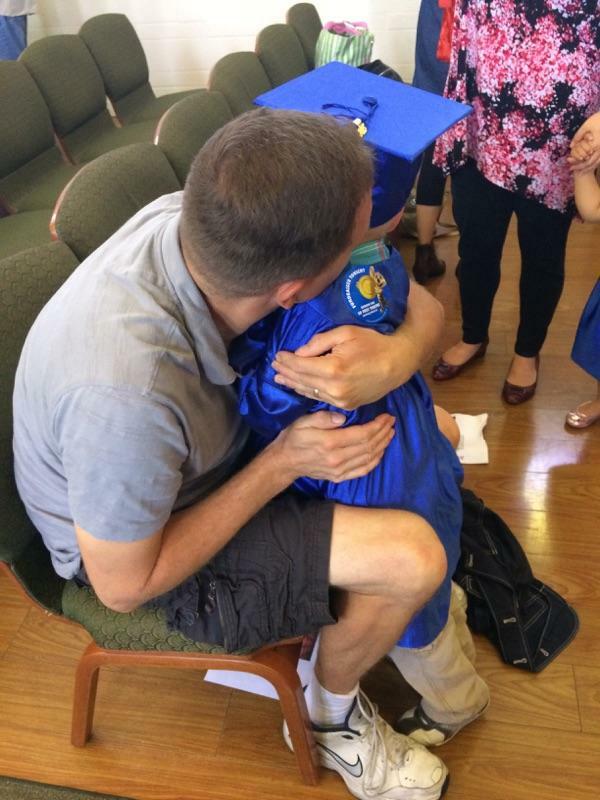 Today was about SO MUCH MORE than a preschool graduation. It was about a boy, who against all odds, fought his way here. It was about a boy who doctors said wouldn't likely make it even to his second surgery, but who has been through 4 more since. It was about a boy who has had 5 open-heart surgeries, 5 cardiac catheterizations and countless hospital stays, blood draws and other procedures. I know we talk a lot about Bodie's surgeries - we talk about them casually, like they were ear piercings or haircuts. But they were open-heart surgeries, peeps. Open freaking heart surgeries. In addition to his surgeries, he has had so many complications and infections. Today, he thrives, but there were so many days we never thought we'd get to this point. It was about a boy who cried almost every day last year at preschool, and this year opened up and thrived under the amazing tutelage of Ms. Mikki, whose love and patience for our sweet boy overflowed. We have never been guaranteed a tomorrow with this boy. We have had many times where we were pretty sure we weren't getting a tomorrow. We have lived so much of his life never looking forward, never thinking about what tomorrow might bring, only focusing on each day and the challenges it brought. 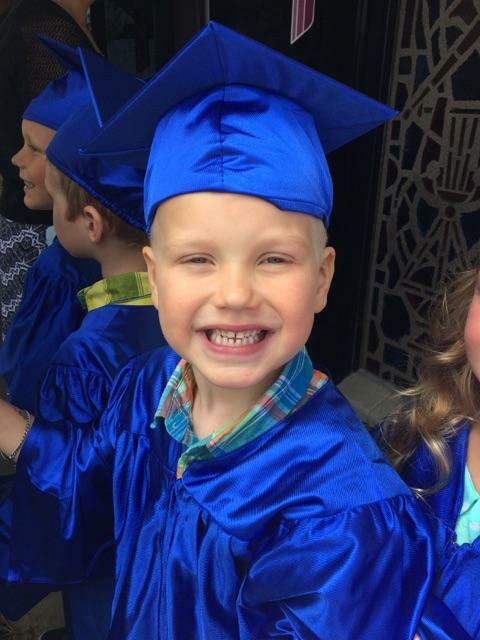 When Bodie was initially diagnosed and I was 17 weeks pregnant, I never would have hoped to dream of preschool graduation. When Bodie was inpatient for almost his entire first 5 months and doctors used words like "failure to thrive," "fragile," and "uncertain future," I never would have dared to dream of today. And yet, here we found ourselves. With a little boy who woke up this morning, saying "Today, I graduate!!! Kindergarten, here I come!" Yes indeed, buddy, kindergarten, here you come. Bodie, we could not possibly be prouder of you. Of your fight. Of your tenacity. Of your enthusiasm for life. Sweet, amazing, preschool graduate you. We will ALWAYS be here with and for you. I think one of the biggest challenges in parenting a medically fragile child is knowing how far to push them. The simple answer is "as far as you can; they'll let you know when you've pushed too far." And, by and large, that is the approach we've taken with Bodie. But, of course, as with all things in life, it's not quite that simple. At 5, Bodie doesn't have the endurance of his peers. He just doesn't. I think my son is amazing and wonderful and has the endurance to do what he needs to do in life. But I'd be lying if I said he was "just like" all the other kids on the playground at preschool. He's never seen running around with the packs of boys. He's smart, and I think he's realized that he just can't hang with that. He gravitates toward riding trikes, where the differences aren't as noticeable - and to playing in the sand and on the jungle gym. I've been thinking lately about his endurance. It's not due to low oxygen saturations anymore (his baseline is around 95%, which isn't that different than his peers) - and he's not really ever winded anymore (in that regard, his endurance has improved). It's hard to blame his current heart condition for his lack of endurance, not when I know other post-Fontan HLHSers who can run circles around their peers. I think it may be because he's just never been pushed to develop the endurance. 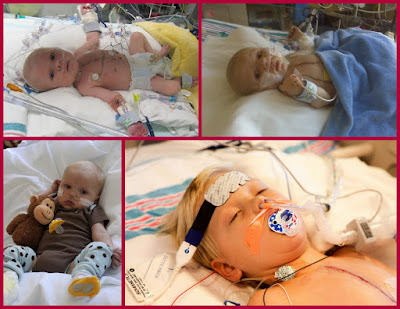 For the first 4 ½ years of his life, his oxygen saturations were 75-85% of his peers. Every ounce of energy his body had was used up to keep his body running. It's only been in the last year that he's had any extra energy for other endeavors. So he's never been asked to build any endurance - we carried him if he asked, we slowed down if he needed it. So, not only had his physical endurance not been developed, but he has a total mental block now on the physical stuff. He's scared of it. He doesn't THINK he can do it, so he won't even try. But he's stable. It's time to start working a bit on building that endurance. It's time to give him the gift of a little more oomph. It's time to push him a bit. I'm not talking asking him to run a marathon. But I think perhaps he's capable of walking on a mile long family walk instead of being carried. Or keeping up when we're out running errands. Instead of whining that he can't and dragging his feet. So today, on this beautiful day, I took the kids on a hike. 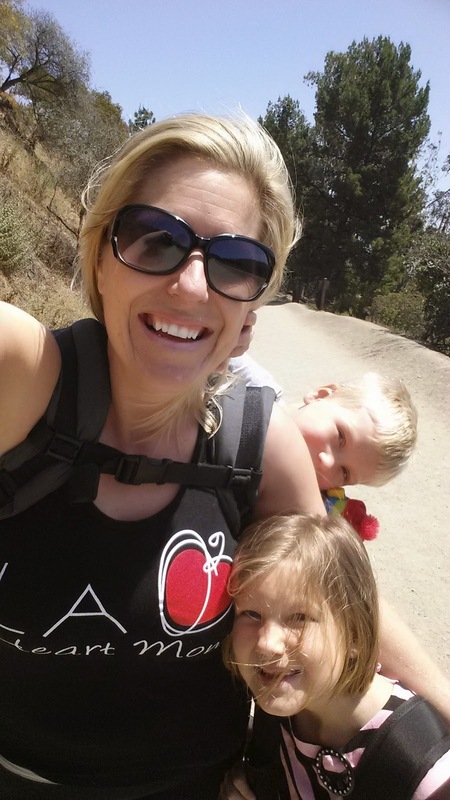 I started with Bodie in his Tula (an absolutely awesome toddler carrier that works GREAT for him (and is MUCH easier on my back than just carrying him!). But then he wanted down to explore, so I put the Tula away. And decided collectively that we WANTED TO HIKE IT (it's not as far away as it looked - the picture just makes it look that way, I promise!). I had planned on tula'ing Bodie when he got tired, but when we got closer, his energy was up and I realized he could do it, it wasn't that scary up close, and as long as we took breaks and let him go as slow as he needed, he'd be fine. You can guess how he responded. Acted like his legs didn't work. Like he was totally incapable. And that was on the flat part before the hill began. So we took it slowly. And it was about the first hill in as he's literally thrashing on the ground and screaming that he can't do it and I'm standing over him telling him to "Stop whining. 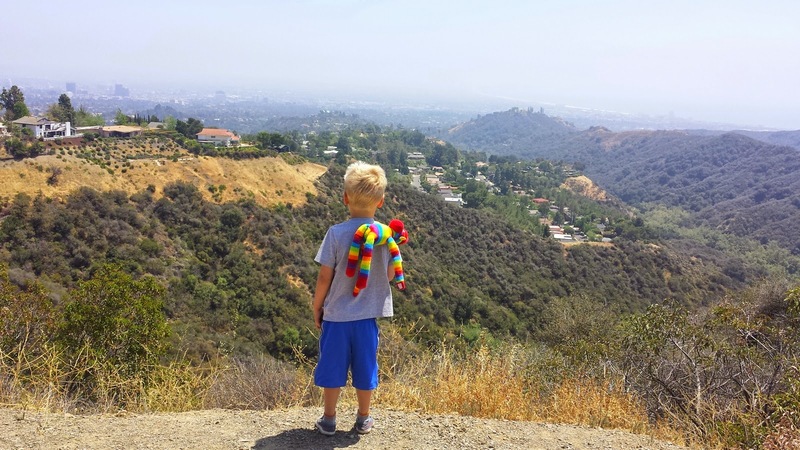 Yes you can, we will take it slowly - you only think you can't" that I see a familiar face coming over the ridge…one of our favorite attendings from CHLA out hiking with his family. I'm sure he took one look at us and was like "Seriously!?!? 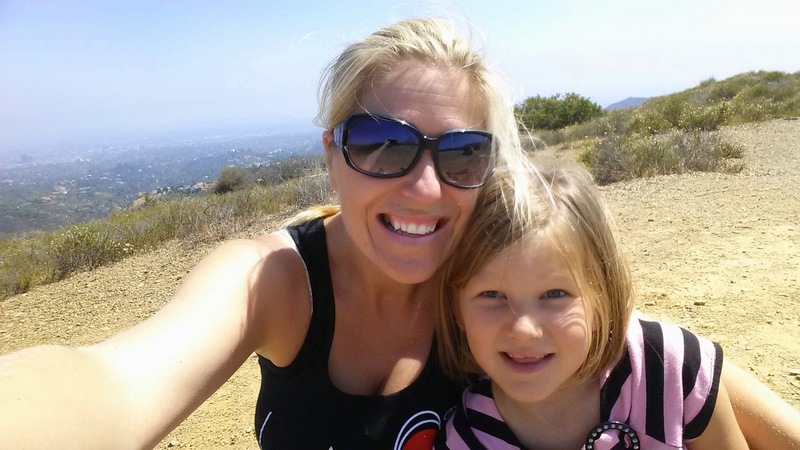 This is why we save these fragile kids, so their parents can force them to do hikes they can't do??? What is she thinking???" But here's the thing. Bodie CAN do it. And darn it, if that kid wasn't SO proud of himself for doing it. 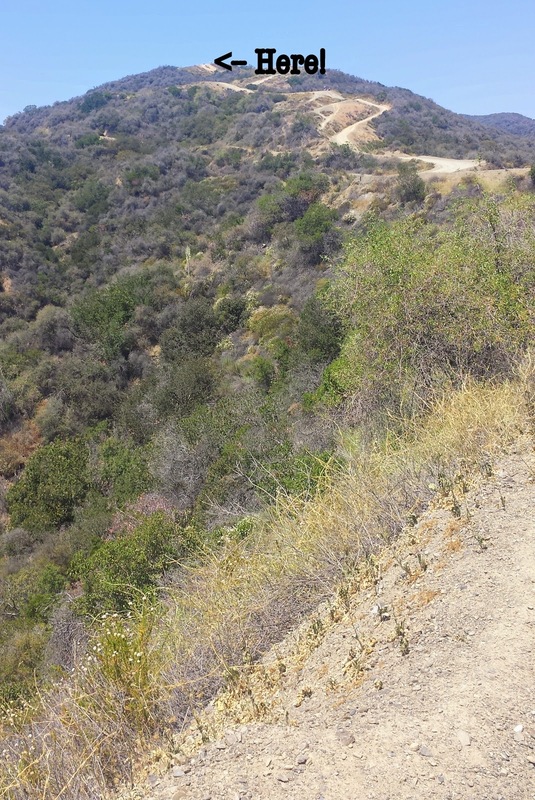 And ran most of the way back down, before I gave him a lift back to the car on the Tula. And he can't wait for the next hike. Couldn't do it my a$$. And we had a nice chat with the attending while we were out there. I don't think he's going to call CPS on us. Our sweet Sierra turned 8 years old last week! 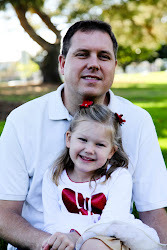 I can't believe our sweet girl is seriously 8 years old (as likes to remind us "I'm halfway to my driver's license, mommy!"). We love you so, so much sweet girl. We could not be more proud of the beautiful, sweet young lady you are. 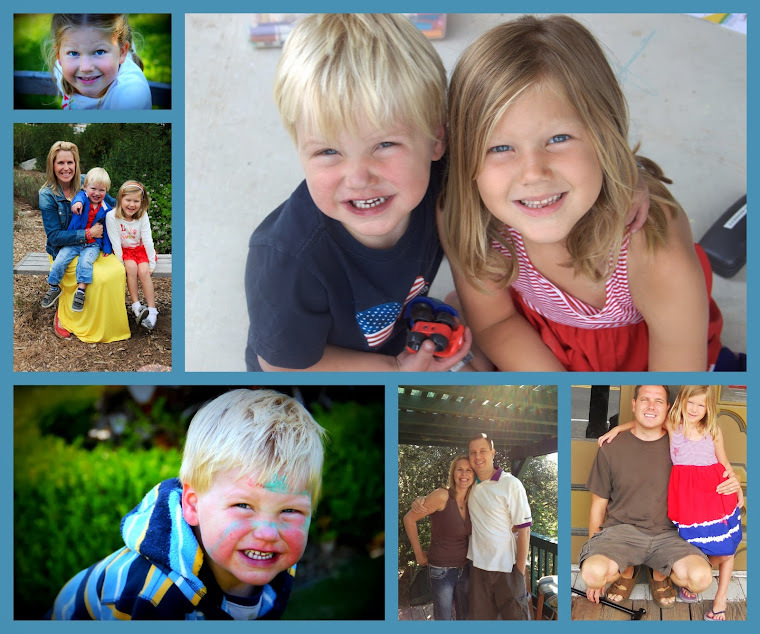 We know you're on the precipice of growing up and my mommy heart isn't quite ready for that! At 8, you're still our little girl, you still think your daddy hangs the moon and would rather be with mommy than anybody. You love your little brother in equal parts adoration and annoyance. Can we hang onto this phase just a little bit longer? You're reading like a fiend (we are so, so, so proud of the way your reading skills have improved this year! ), you're loving ballet and sewing - and our days are consumed with American Girl, Frozen and Ramona Quimby. You talk often about what life will be like someday when you're a mommy (but we're ok with taking things slowly until that time comes!). You are SUCH a caring little girl. When mommy was sick with the stomach flu last night, you were my perfect nursemaid, constantly checking in on me, and so worried about me. You have such a big heart, sweetheart, always wanting to help others. For Sierra's 8th birthday, we went all out with a Frozen theme (including a cake that really gave mommy a run for her money!). The kiddos made masks, frozen themed hair bows and bookmarks. It was SO FUN to see how each child put their own unique spin on their crafts - no two were the same! The kiddos (and WE) had a great time! Gigi and Popo got in on the fun, too! God has so blessed us with being your parents!